Over the last couple of years, the restaurant scene in Pittsburgh has evolved into something I never expected to see. There are many options, ranging from high end bistros to your garden variety food truck. This is most evident in the Lawrenceville section of Pittsburgh where there has been a revitalization project that has transformed the community. 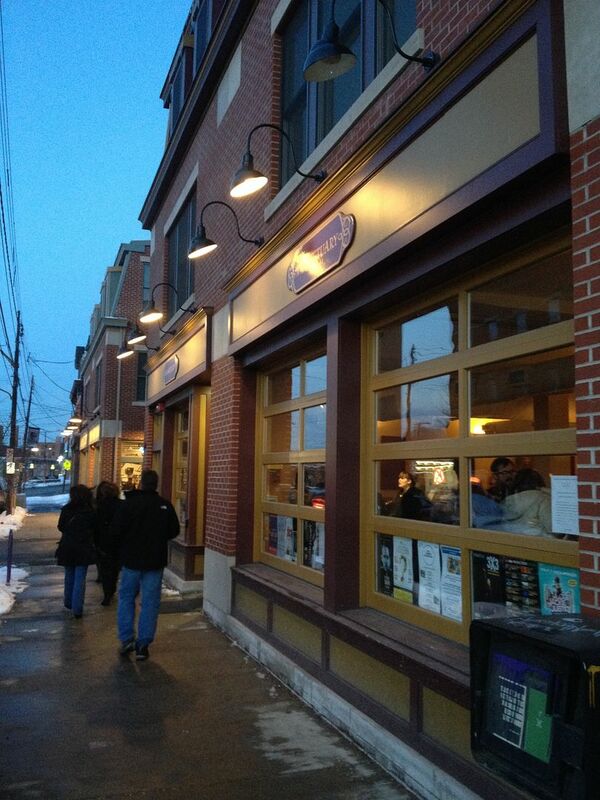 The main drag, Butler St. is paved with cafes and numerous dining options. Hope and I have decided to sample some of these new eateries this past weekend. Our plan for the weekend was a trip to Franktury for a late lunch, then an evening of binge watching season two of House of Cards to cap off the day. Franktuary has three locations listed: Downtown, Lawrenceville, and a mobile location that operates during the warm weather months. 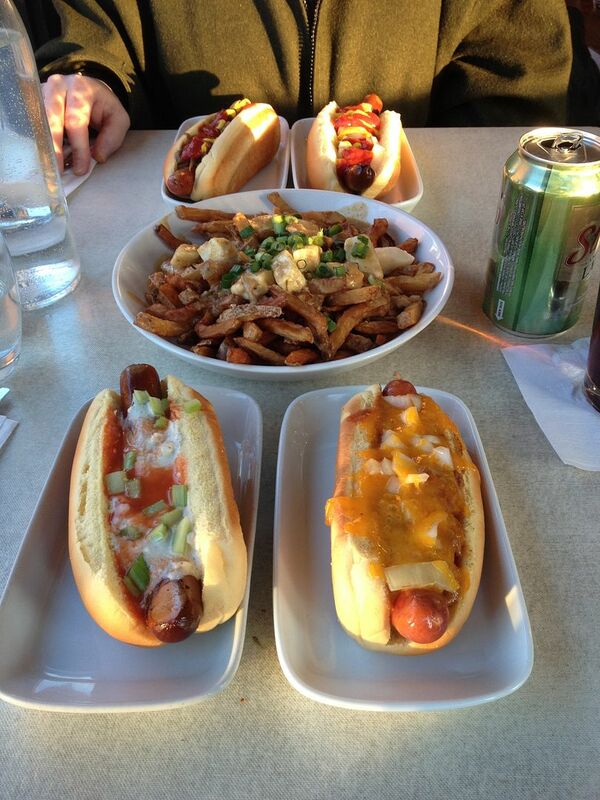 The menu has a nice selection of beers and mixed drinks to start and a variety of gourmet hot dogs to sample. The inside is nice. Not too loud and family oriented, at least during the 4:00 pm hour. 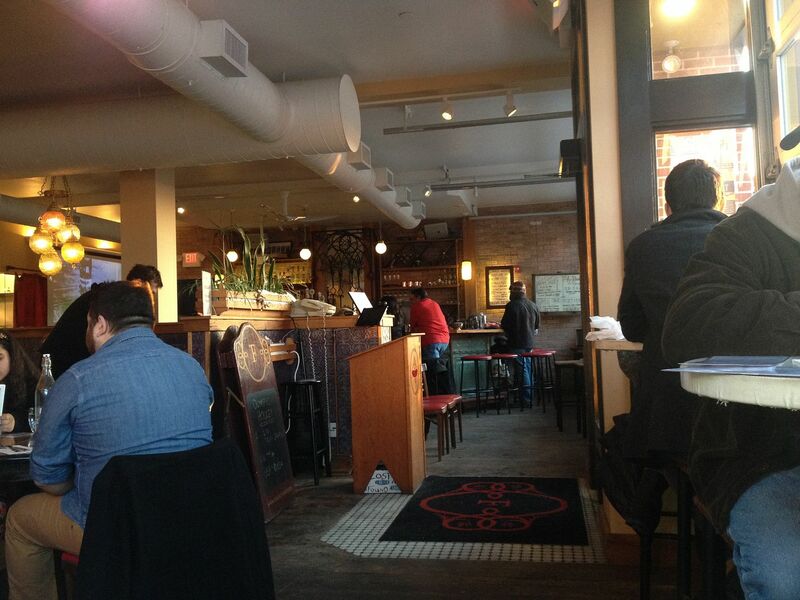 The bar and restaurant have a nice combination of brick and wood. The wait staff was friendly and knowledgeable. Off to a good start for sure. As you scan the menu, you have a choice of New York beef hot dogs and New Zealand grass fed beef, as well as fish and veggie options. You get to choose your bun: potato, whole wheat, millet, and romaine lettuce for the Paleo crowd. You can choose from different condiments and toppings, as well as different house combinations. To top it off, they offer soups and chili, appetizers, and fries. In addition to your plain ketchup dunking french fry, they offer various varieties of Poutine. Poutine is a French Canadian offering of fries covered with cheese curd and gravy. More on Poutine here. After scanning the menu, we placed our order with our friendly and very helpful waiter. Hope, being the traditionalist choose a New York dog with ketchup, mustard, onion, and house sauerkraut and a New Zealand grass fed dog with ketchup, mustard, and onion, both on potato buns. I chose a New York dog with chili, cheese, and onion and a New Zealand grass fed dog Buffalo style, both on a potato roll. We shared an order of Poutine with cheese curd and brown gravy topping. When we asked our waiter about the grass fed dog, he said it was different than the normal beef dog. The taste was different, but good. He was right. Hope didn't care for the taste and texture. I was ok with both. A good description would be that it tasted almost like knockwurst. One warning, while the skin was crisp and it was not dry, the grass fed dog was not juicy like you get when biting into a New York kosher beef dog. The kosher New York dog was spot on and I agree. The potato buns were steamed to perfection. As for Hope's comments, the standard ketchup and mustard was of good quality. But, the house sauerkraut was lacking. I tried a taste. It has the kraut, but not the sour pickle aspect you look for in sauerkraut. It was almost like sautéed cabbage with a hint of pickle taste. Not bad, but better suited for corned beef. As for my hot dogs, the chili was good, but a bit under seasoned. Otherwise, it was a good dog. The Buffalo style dog was also pretty good. I was afraid it would come out stuffed with celery sticks. I was relieved when it came out topped with diced celery. The Buffalo sauce was mild and not overly spicy. The bleu cheese dressing was a bit thin, but the taste was there. My suggestion to improve this hot dog would be either to dunk the dog in the Buffalo sauce and top with a thicker version of bleu cheese dressing, or to mix the sauces together while using a thicker bleu cheese dressing. The Poutine was heaven. Crisp fries, cheese curds, and rich brown gravy with hints of sage and rosemary. A great choice for our first Poutine experience. Overall, Franktuary was a nice start to our new Pittsburgh culinary adventures. Friendly waitstaff, cold beer, and good hot dogs can be found here. Would I drive 40 miles again just to go to Franktuary? No. If I was in the neighborhood and wanted a hot dog would I go? Yes. Overall grade: B.
Ok you have pushed my button. Grass fed dogs are an abomination. Is nothing sacred. I have heard numerous people tell me how grass fed tastes good and makes the cow happy I cringe. I have had some very good grass fed beef but the majority I have had has been tough, gamy, overpriced beef leather. I am not sold. Give me a tube of corn fed lips, eyes and scraps anyday. I agree Chilebrown. I have never had a piece of grass fed need that stacked up to corn fed. Now o hear that grass fed/corn finished is ok. But, I have never tried it before.